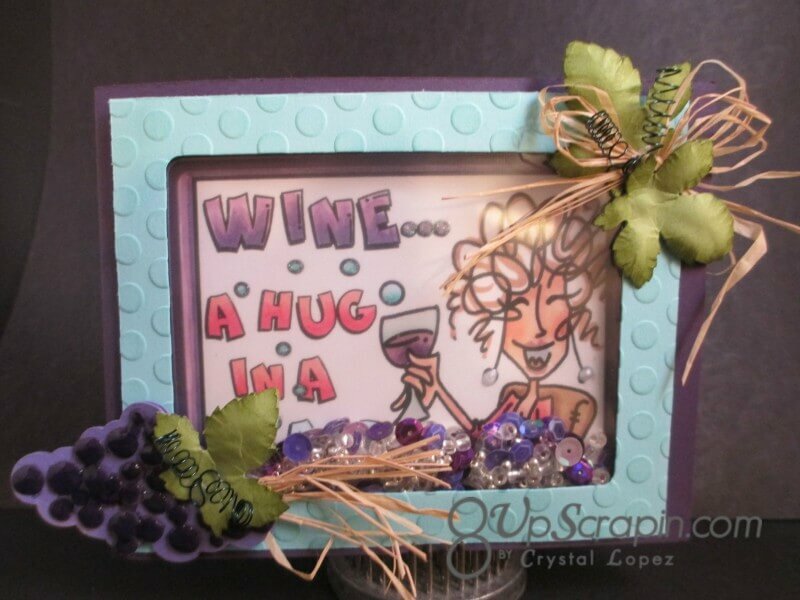 Today our sponsor is BugaBoo stamps ,they have really cool digi images so go check them out . 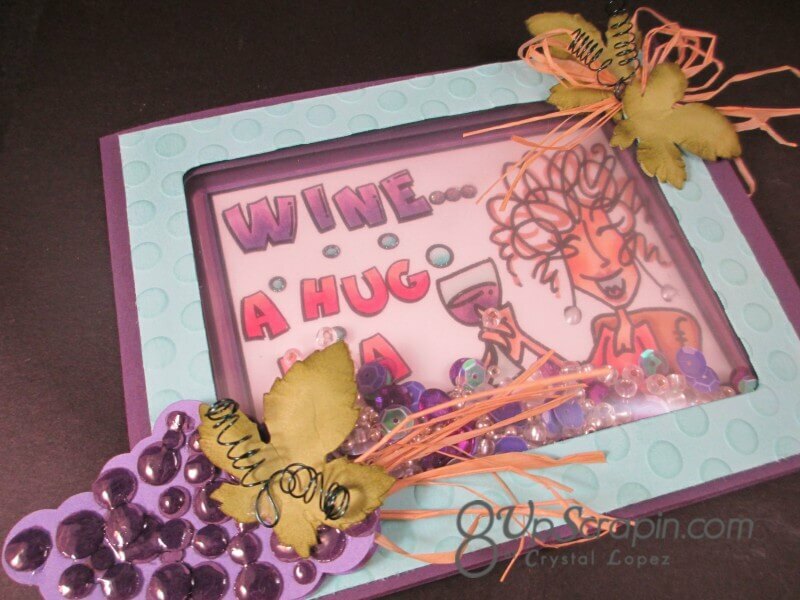 for this card I tried a few new to me things , I made a shaker card frame but not with plastic and foam tape but with a solder iron ( my fuse tool has not delivered so thought use what you have ) and a picture sheet protectors , I created a completely sealed pocket with sequins and seed beads , I but this packet in between a framed opening and you get a much flatter card , easier to mail and without fear the shaker goodies will fall out . 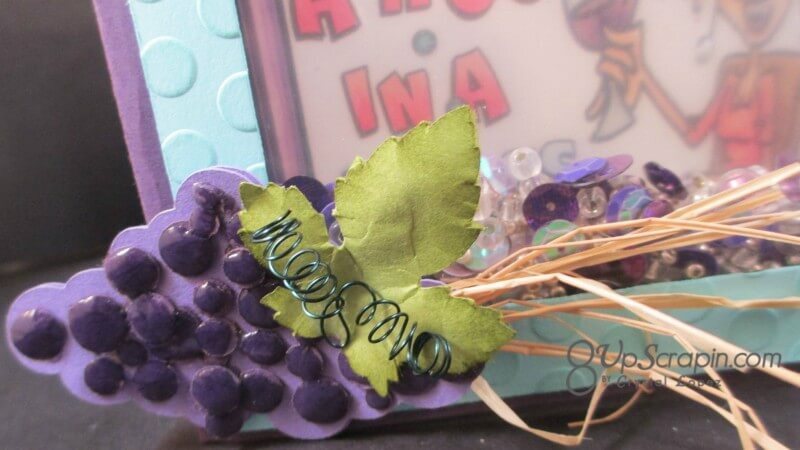 for the grape leaves i gave them life by using a stylus and molding mat on the back side of the leaf to curl it up , I added raffia and made wire curls by wrapping wire around a paint brush handle . 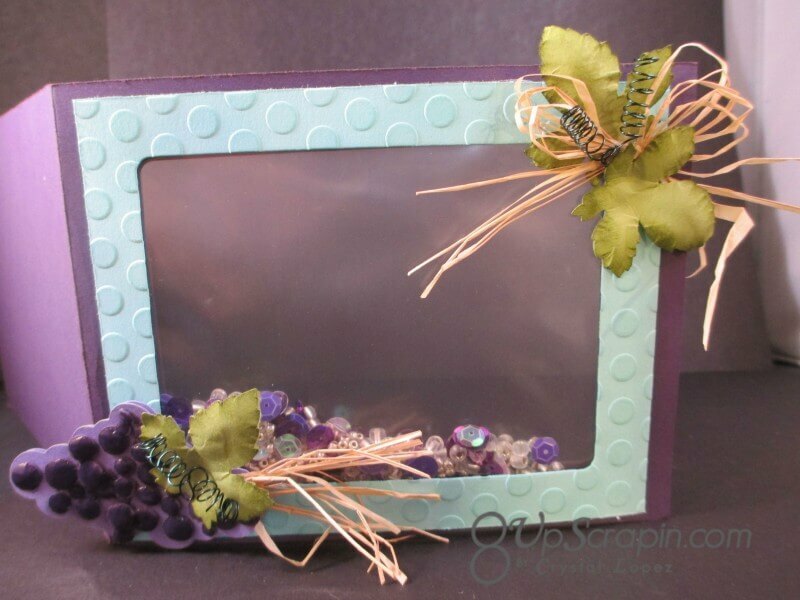 for my grape cluster i cut this on my silhouette , the small grape pc i used the stylus again and glued to base layer and then added glossy accents to bring them to life , I love making my own embellishments , it just yet another challenge I give myself . 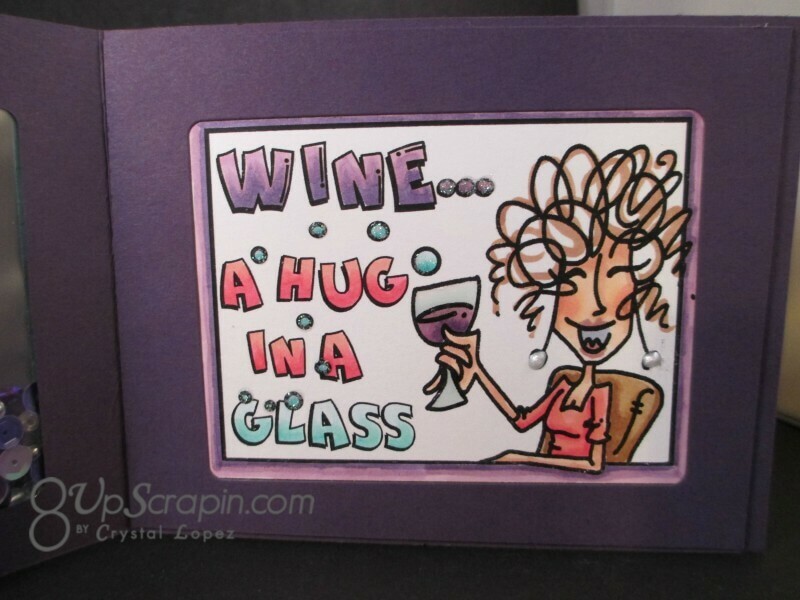 I love love love this card, everything about it! You are so detailed. 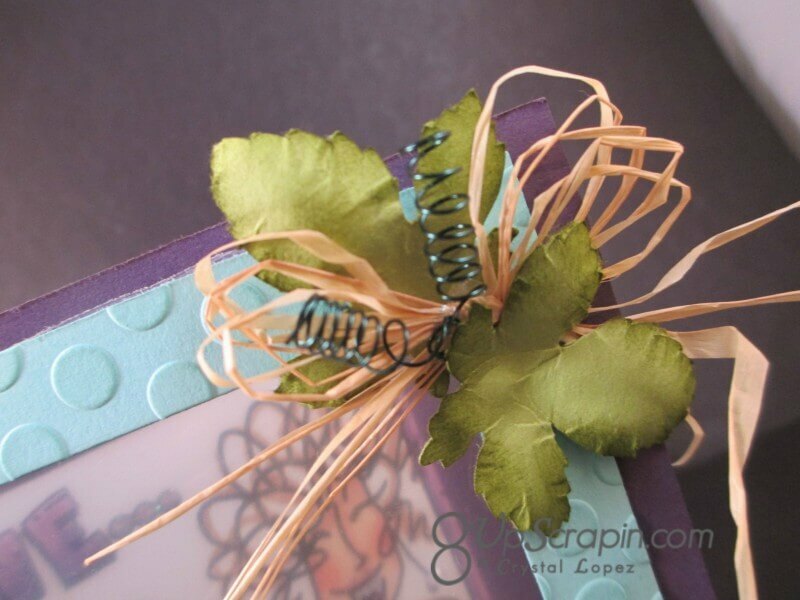 I love the curled wire, raffia, all of these little details make this such a fabulous card. Love how you made the shaker part as well.